I love movies. I watch a lot of them. So I have decided to add a category to this blog and write about them. I’ll be mentioning new or upcoming releases that I’m excited about. 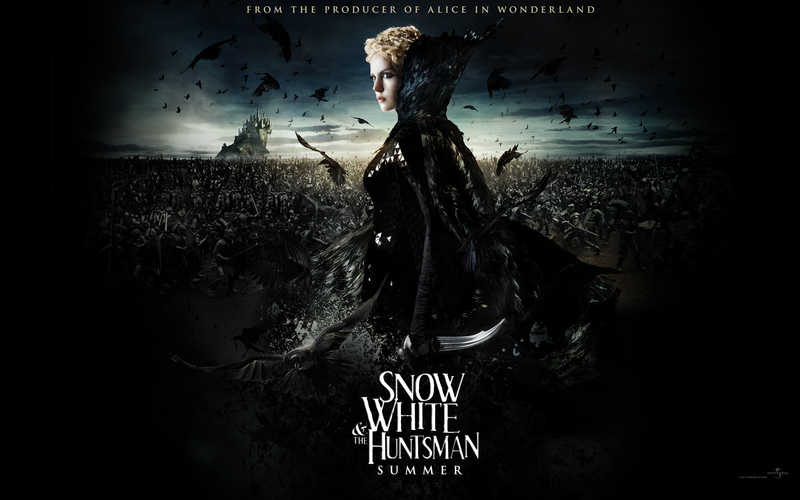 This week, I’m starting off with Snow White and the Huntsman, which is released this week. c) a film where the main female character is (hopefully) not a useless and helpless idiot (yes, I hate those). Honestly, that’s enough for me. 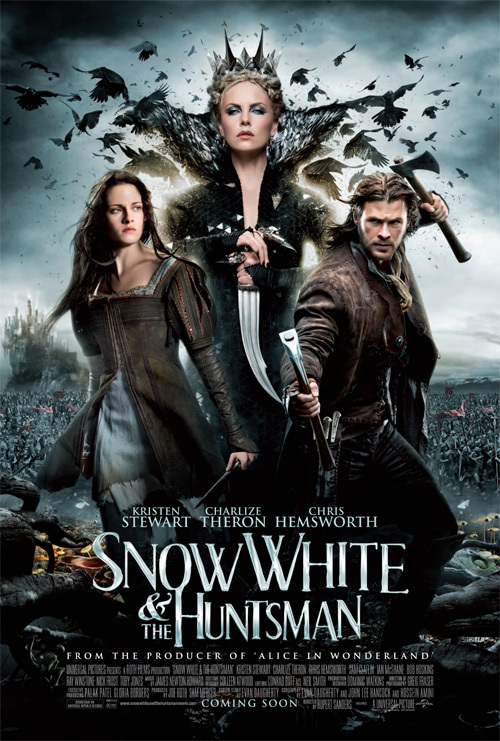 This entry was posted in Friday Film and tagged 2012 release, EM Castellan, fantasy, gothic setting, movies, Snow White and the Huntsman. I approve of your movie love. Despite that fact that I don’t like Kristen Stewart, I still want to see this for pretty much the same reasons you do. My kingdom for a competent heroine! Plus, Chris Hemsworth is yummy. Did you see Mirror Mirror? I haven’t seen Mirror, Mirror, it looked a bit too goofy for my taste. And I’m not a fan of Kristen Stewart either, but I’ll overlook her presence in the movie for the reasons mentioned above… Thanks for stopping by!